Conor O'Malley; Ger O'Brien, Rory Feely, Darren Dennehy, Ian Bermingham; Lee Desmond, Graham Kelly (Dinny Corcoran 75), Mark Timlin (Keith Treacy 61), Conan Byrne, Steven Kinsella (Billy Dennehy 55); Christy Fagan. A rare moment of quality from Kurtis Byrne proved the difference as Bohemians edged out St Patrick's Athletic in a dour game at Richmond Park. Byrne - whose father Paul played for both sides of this Dublin Derby - rendered Saints keeper Conor O'Malley helpless with a perfectly - executed side-footed free kick from just outside the box. 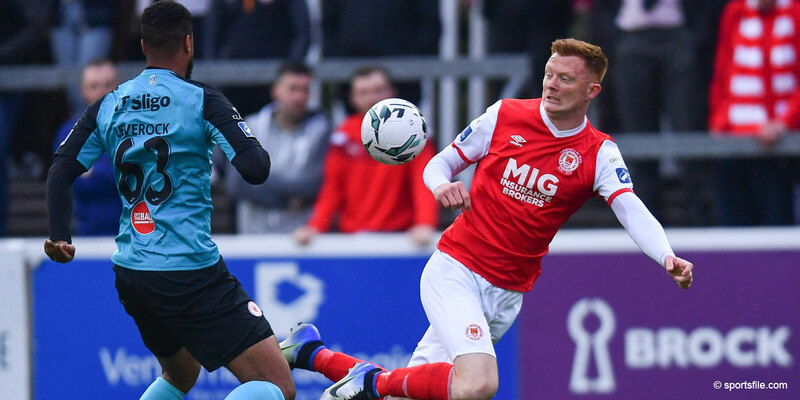 Both sides made changes, with Liam Buckley making four from the side that beat Limerick last week, while Keith Long made five from the side knocked out of the FAI Cup by Derry City. And the lack of cohesion was apparent during a game that lacked fluidity and tempo from the outset with Byrne's classy intervention the only real high point. The visitors had started the game with the confidence of a side who'd won the previous meeting 5-0 in June, but they were given a scare when Graham Kelly dropped a shoulder and shot from the edge of the box, but his scuffed effort was easily gathered by Supple. Bohemians were stunting the home side's ability to build from the back by pressing high up the pitch, and it reaped rewards when Ger O'Brien passed the ball to his opposing captain Roberto Lopes in midfield. Lopes played a quick ball through for Kurtis Byrne, who had momentarily found a pocket of space where Feely had wandered out of position, but he had to check back and his eventual shot was comfortably saved by O'Malley. Steven Kinsella forced a save from Supple and Ian Bermingham drove the ball wide before Conan Byrne did brilliantly to win the ball in midfield and attempt an audacious 45-yard chip, but it was always headed well over. 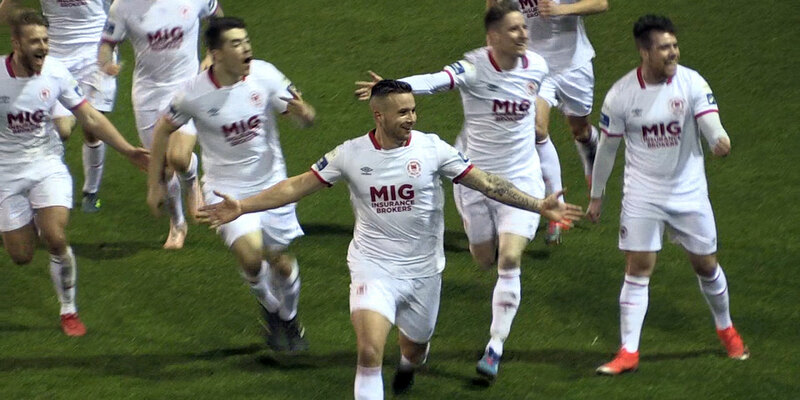 Kavanagh and Mark Timlin traded shots over the bar early in the second half, before a frantic end-to-end exchange saw both Darren Dennehy and Kurtis Byrne spurn good opportunities. Byrne wasn't to be denied just before the hour, though, as he lined up after a free kick following Timlin's clumsy foul and Keith Buckley and passed the ball into the corner of the net from 20 yards. Liam Buckley introduced Billy Dennehy – returning after a two-game absence – and Keith Treacy n an effort to find a spark, but they continued to be outworked by the dogged Gypsies. Eoin Wearen could have doubled the lead right on the hour as he got his head to Dean O'Halloran's left-wing cross, but he couldn't quite get enough contact to take it inside the far post. 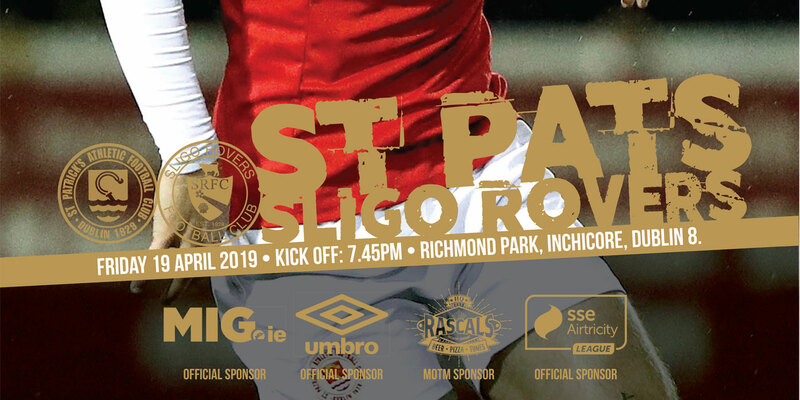 A wonderfully-timed interception from Prendergast denied sub Dinny Corcoran from Fagan's cross, and in injury time Fagan headed over the Saints' best chance of the game.